Saddle: North 36:40.926, West 004:59.825 at elevation 1687 meter. How to get there: From Malaga, go west along the sea passing Marbella to the exit at San Pedro. Go north on A-397 towards the city of Ronda. This road has kilometer markers that count down. The trailhead is on a sideroad that goes right after kilometer 14 and before kilometer 13. This road is marked with a big sign saying Parque National Sierra de Las Nieves. Further, there is an arrow pointing to Los Quejigales. This location is N36:39.646, W005:05.960, at elevation 1079 meter. The first 800 meter of the road is paved, the rest is dirt, but aside from some bumps and humps, the road is quite fine for ordinary cars. There are a number of smaller roads forking off, stay on what appears to be the main road. Just after crossing a (dry) creek on a bridge, keep left when the road forks. The trailhead with parking is located 9.7 kilometers along this road, elevation 1285 meter, coordinates N36:41.436, W005:02.713. Route description: The route follows the route to Torrecilla as far as to the circular stone structure. From here, fork left and hike off-trail along the ridge that gradually becomes more distinct to the summit ahead. Comments: I hiked this peak on my return from Torrecilla, 1919 meter. See this entry for a more complete update and practical information. 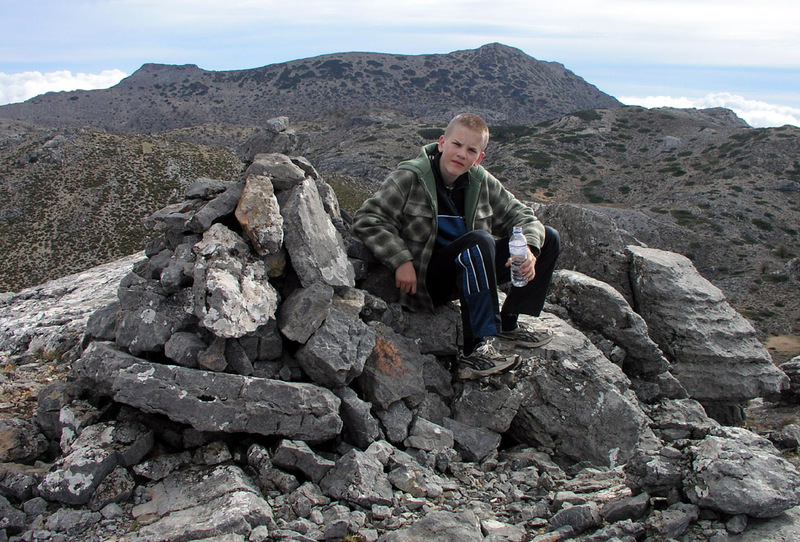 On the summit of Point 1812, Pål Jørgen with Torrecilla in the distance. 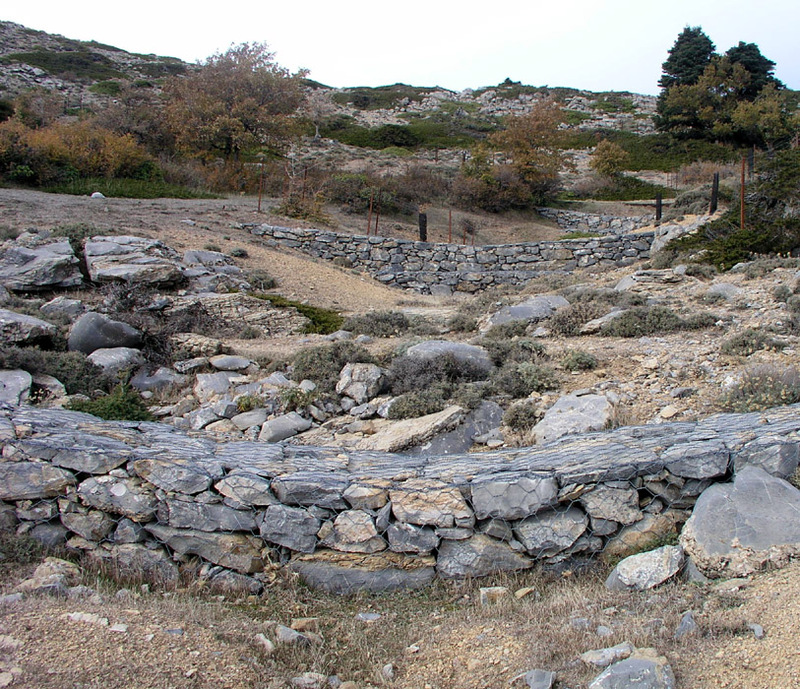 Flood protection, almost all gullies had numerous walls like these in order for water to accumulate and not immediately run off, causing flash floods in the valleys below.